If you're using stucco in Park City or Heber, you'll already know that you're going to be using earth tones unless you really want to piss off your neighbors. The color we actually went with is not included among these samples... it's one that we made up in conjunction with our supplier (I actually spent an entire Saturday morning in the mixing lab doing tests with them.) and they've now added it to their sample cart as a default color. One of the things that you'll want to know to achieve this effect is that you'll want a lot of pigment in the stucco.... in our case it has the maximum amount that can be safely added without running the risk of long term (10+ years) fading. The richer color and more pigment the more 'change' you'll get in differing lighting conditions. If you look at the paint swatch in the last two images you'll see the color "cardboard" from Sherwin WIlliams. 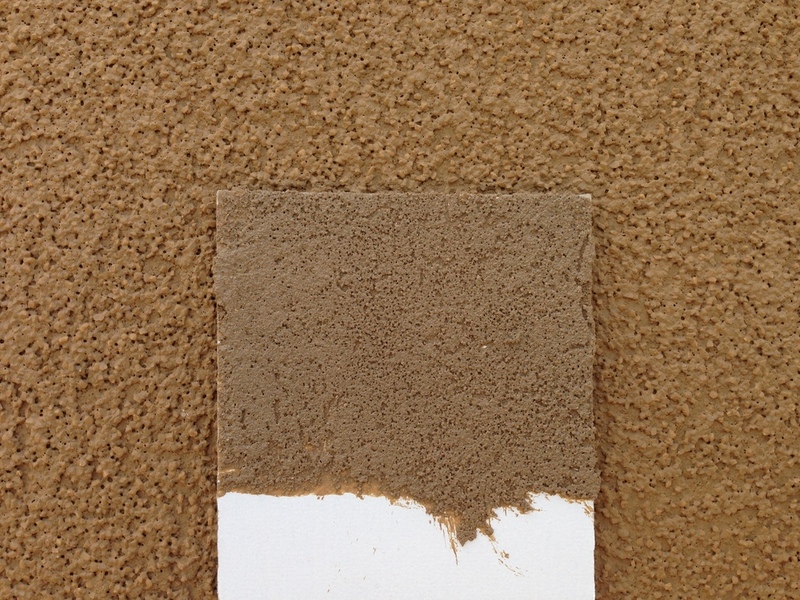 We started with that color (stucco colors are also created using matching technology so you can use any color to start) and bumped it up to 200% pigment.